‘Animal Crossing Direct’ Stream Announced for November 2nd – Could ‘Animal Crossing’ for Mobile Be Revealed Then? Ever since the initial shocking yet wholly unsurprising announcement that Nintendo would finally be developing mobile games, there hasn’t been much news on the promised Fire Emblem and Animal Crossing iOS iterations that are scheduled to launch later this year. Miitomo (Free) came and went extremely quickly, and while Pokemon GO (Free) has taken the world by storm, it was more a Niantic game with a Pokemon theme, rather than a dedicated Nintendo mobile effort. Today, in their 3DS Nintendo Direct presentation, the legendary Japanese developer announced a future Animal Crossing Direct that will take place on November 2nd, and owing to the slated Fall 2016 release date of the iOS version of the life simulation title, there’s a very good chance that we will finally learn more details, and maybe even a release date, in this upcoming stream (however, nothing has been confirmed as of yet). Of course, this is merely an announcement of an announcement, and cynics may argue that this piece of news doesn’t exactly reveal much about the upcoming iPhone edition, and to an extent that is a valid complaint. However, based on what has already been suggested, and the progression of the Animal Crossing series, we can likely analyse what paths the franchise will take when it takes the leap onto the App Store in the next few months. Firstly, back in May we learnt that Animal Crossing on iOS would be a free to play game, and furthermore, according to Nintendo president Tatsumi Kimishima, would attempt to ‘offer a connection between the smart device application and the world of Animal Crossing on dedicated video game systems.’ Kimishima further suggested that the mobile iteration would offer’ a new style of play for smart devices’. From these statements, we can effectively rule out a simulator with any similarities to the main series games, and explicitly a port of any of these titles. The emphasis regarding a ‘connection’ between the smart phone game and the console alternatives is slightly less clear, as this could vary from connectivity with a future game in the franchise (likely on the Nintendo NX), to a mere companion app that is more reminiscent of a clicker-style experience. Regardless of these hypotheses, the way that the Animal Crossing series has placed emphasis on Amiibo in recent years, such as in Animal Crossing: Amiibo Festival on Wii U, and in the upcoming update for Animal Crossing: New Leaf that was announced today, very heavily suggests that an implementation of the Amiibo figures into the mobile game will be a likely possibility. However, while the iPhone 6 and 6S devices include NFC capability that is used in the Amiibo figures, it is currently limited to Apple Pay only, so whether Nintendo find a workaround to this is still to be seen. At the very least, Animal Crossing on iPhone may be relatively reductionist, and place an emphasis on only one or two aspects of the simulation gameplay that has been so successful on Gamecube, DS, 3DS and Wii. We’ve seen this before, as the Animal Crossing: Happy Home Designer spin-off for 3DS that released in July of last year already took a specific focus on the furniture collecting and arranging gameplay from the main games. Such an approach is bound to upset a proportion of fans, as the brilliance of Animal Crossing is its multi-faceted approach to everyday life, which means while one person may prefer catching all the fish or insects, another may be more satisfied through home designing or flower arranging, for example. 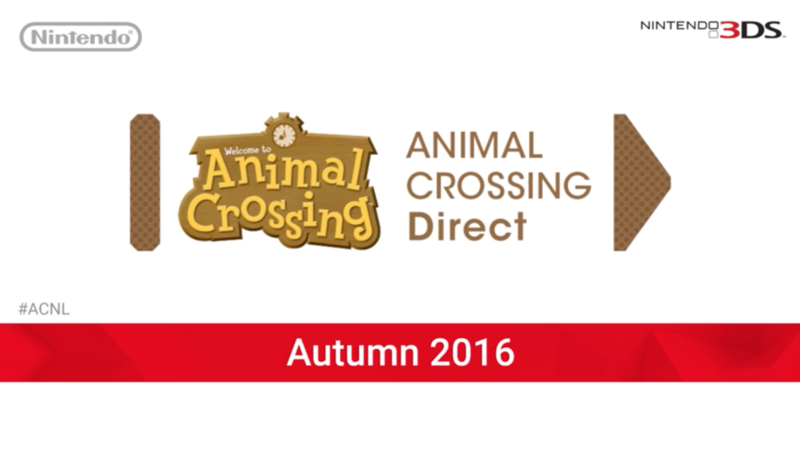 Regardless of the route Nintendo decide to take with Animal Crossing, the wait should thankfully be over at the Animal Crossing Direct, which is slated to stream on November 2nd. While I’ve gone into detail about my potential theories for the iOS edition, we’d love to hear what you expect from the mobile iteration of Animal Crossing, so be sure to share your opinions and ideas in the comment section below.